Mari Cahalane, Head of BT Young Scientist and Technology Exhibition. Seamus Banim, Director of Communications, ABP. ABP Food Group is promoting increased farm safety at the BT Young Scientist and Technology Exhibition which is taking place this week in the RDS, Dublin. ABP has partnered with the prestigious event in order to raise awareness of farm safety with secondary school children. The company has created a new award, the ‘ABP Farm Safety Award’, and it has also built an ABP Farm Safety Zone which highlights the key dangers that exist on farms. There have been an exceptional number of fatalities on Irish farms in 2014 with an 87% increase in fatalities from 2013. 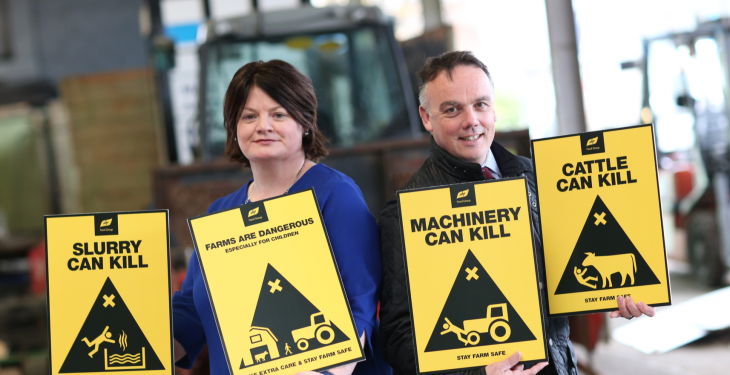 The Health and Safety Authority (HAS) today published new figures on farm safety which revealed that agriculture is the most dangerous industry in Ireland representing roughly 55% of all work related deaths. 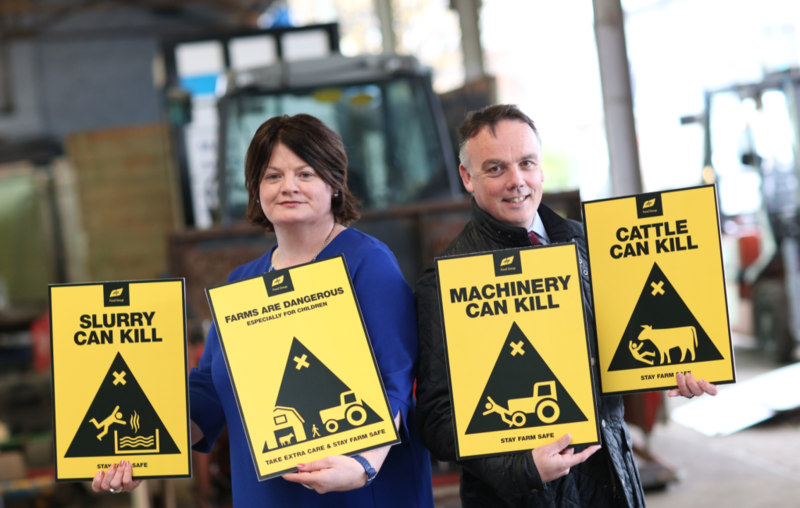 The ‘ABP Farm Safety Award’ category recognises projects which focus on either improving safety on farms or help educate people about the dangers on farms. ABP hopes the category will encourage students from both farming and non-farming backgrounds to learn about farm safety and investigate issues that affect farms today. As part of the engagement with the BT Young Scientist ABP will have an exhibition space dedicated to farm safety. Attendees will have an opportunity to visit the ‘ABP Farm Safety Zone’ and learn how to keep safe on farms and awareness tips to prevent accidents on farms. ABP will also have a stand in the ‘The World of Science & Technology’, at the Young Scientist Exhibition in association with Embrace Farm, a charity set up following the direct experience of a fatal farming accident, which organises memoriam events for victims of farming accidents, and strives to create greater awareness of farm safety. Speaking in advance of the Young Scientist Exhibition, Seamus Banim, Group Communications Director of ABP Food Group, said that as an organisation farm safety is a major issue as demonstrated by the latest HSA figures.